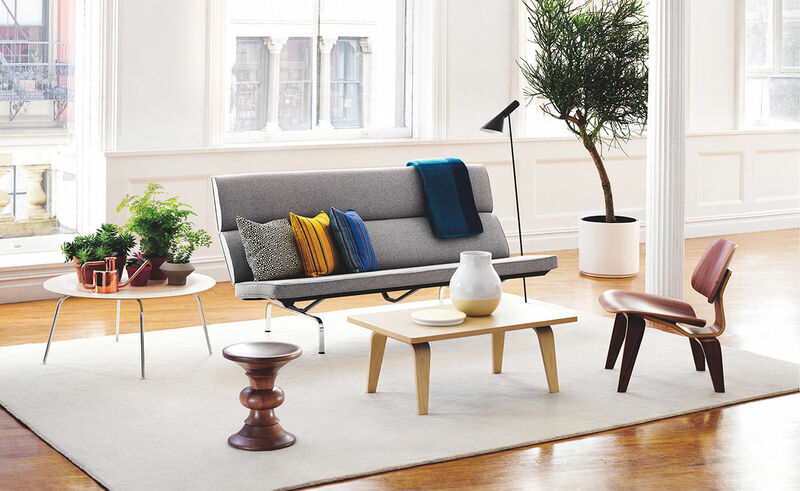 The sofa compact's striking profile and crisp, light scale evolved from a built-in sofa that Charles and Ray Eames designed for the living room of their Pacific Palisades home. 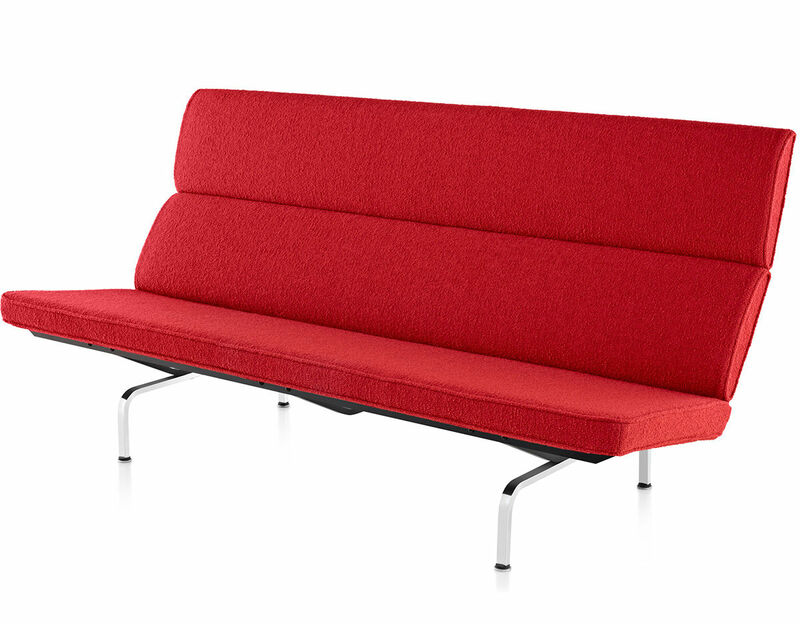 Knowing this makes the name "compact" seem less curious for a sofa that's over 6 feet long and provides such comfortable support from shoulders to knees. 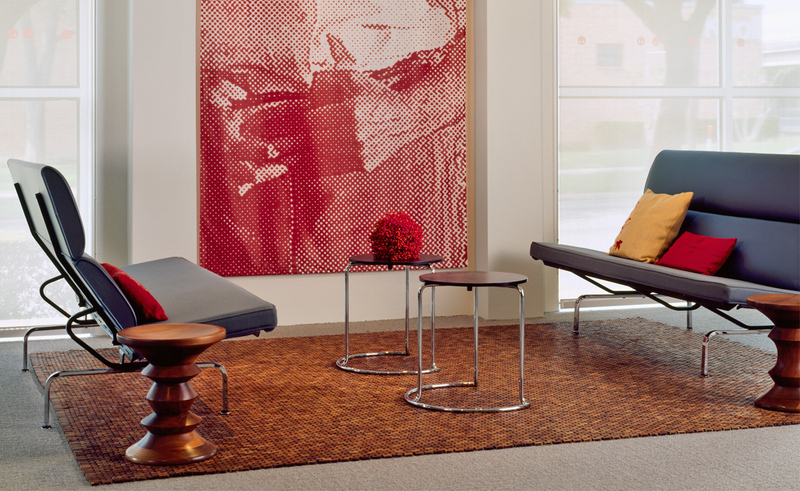 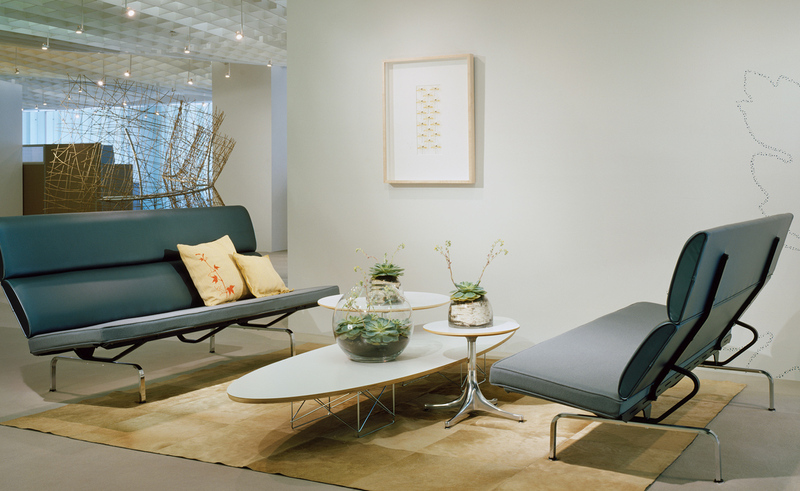 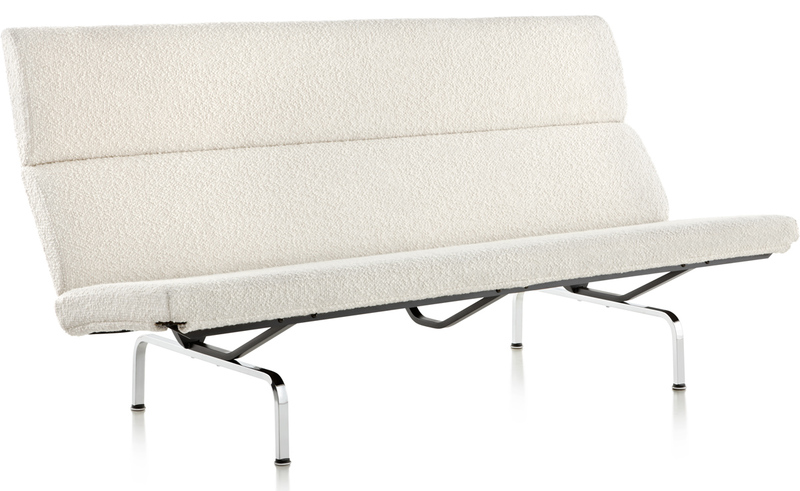 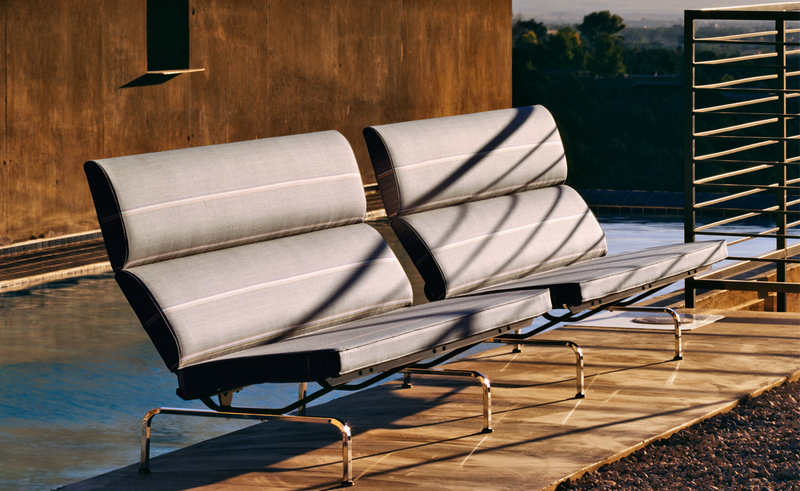 The light-scaled Eames sofa compact gives all the comfort usually associated with long, low, heavy sofas. 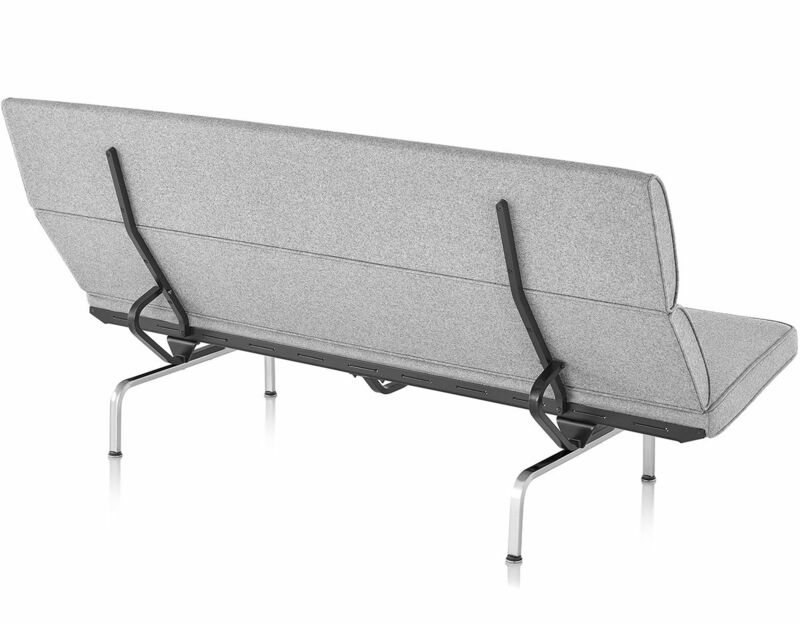 Two horizontal foam pads form the sofa's comfortably high back. 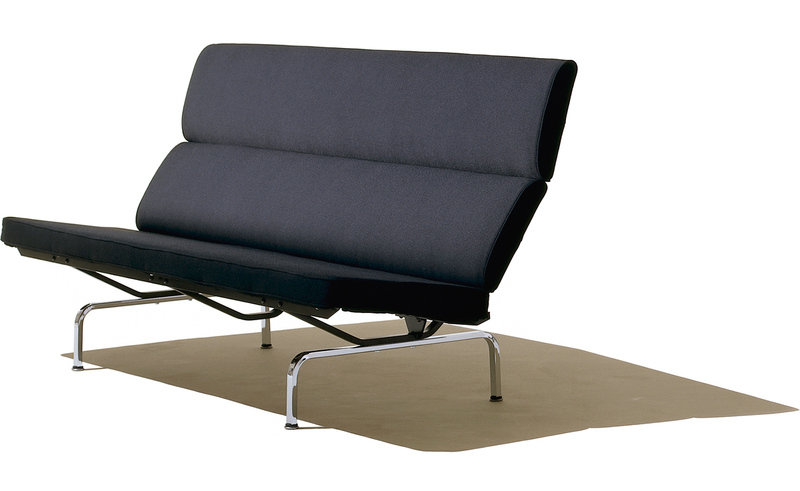 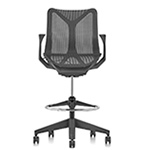 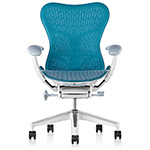 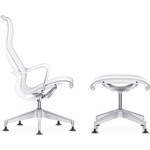 A black enameled steel frame and chrome-plated tubular steel legs provide the foundation. 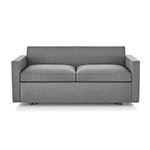 It fits well where bulkier, traditional sofas don't and is perfectly scaled for tight spaces in executive suites, lounges and homes. 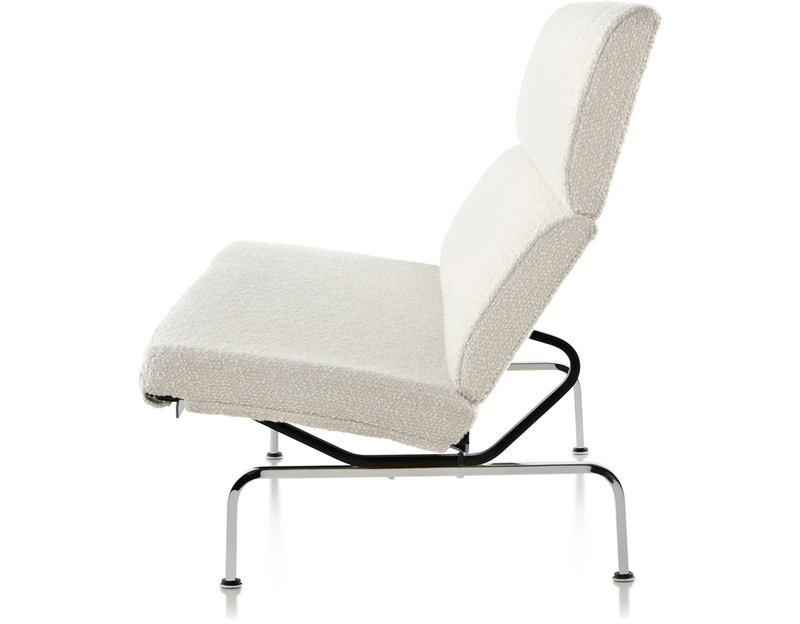 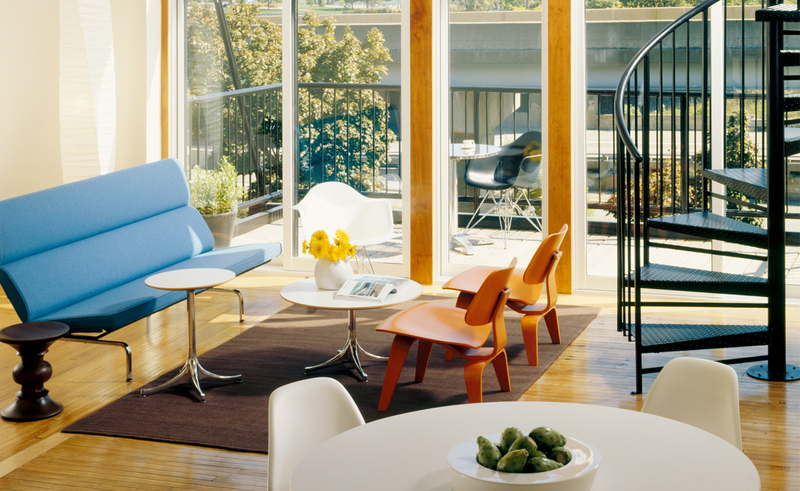 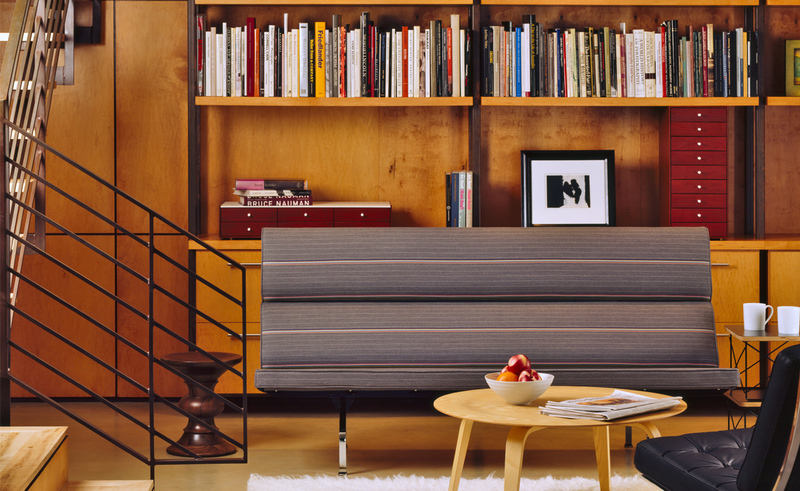 The sofa has been in continuous production by Herman Miller since 1954. 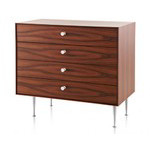 $5,492.00 + free threshold delivery in the continental U.S.
simple and elegant, simply elegant. 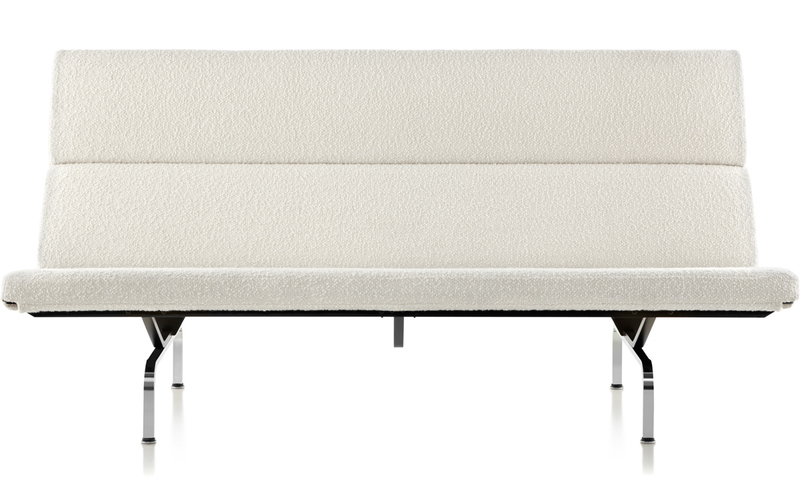 sofa king, more than a month ago. 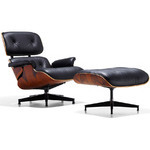 the eames compact sofa is a masterpiece of minimalist sofa seating...... brilliant.